Geoffroy holds an advanced degree in Labour Relations and Practice from Paris II Panthéon-Assas University. He is specialised in Labour Law, Social Security Law and Social Security coverage. He began his career in 2003 and spent most of his career at Barthélémy, a French Labour Law firm, followed by a stint at Capstan, where he was a partner. In 2015 he participated in the founding of Fidere Avocats, where he is Managing Partner. Most of his time is spent advising French and international clients active in various industries (metallurgy, office automation, pharmaceuticals, wholesalers, chemical companies, schools, electric and gas companies, mining and construction materials companies and industry organizations. In particular, he works on corporate restructurings, the provision of personnel from one company to another and employer-employee relations. Geoffroy is also an expert in collective bargaining and manages many HR matters, such as annual evaluations, workplace well-being, workplace equality and career management. He also handles many collective disputes and class action matters. Geoffroy de Raincourt teaches at the University of Paris II Panthéon-Assas, as well as at the French Bar School [Ecole Française du Barreau]. He also leads training at Elegia, Liaisons Sociales and RH&M. 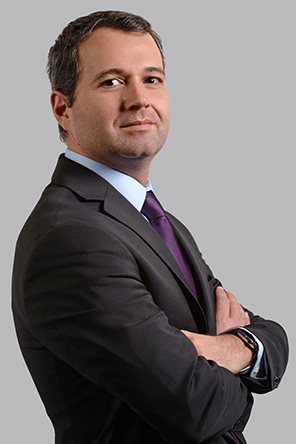 Geoffroy de Raincourt has published many articles and is also an editor at JurisClasseur and Lamy Opérationnel.